Note: This software contains measures to check if it is a legitimate version of our software. If these checks ascertain that the version in use has been altered in anyway from the original, certain aspects of the software will fail to function correctly; this can also lead to an instability or failure of your system. Alcohol Soft is not liable for any problems that occur from using a non legal version of the software. Alcohol Soft is under no obligation to offer help or advice on how to remedy any problems that occur through using a non legal version of the software. This End-User License Agreement is a legal agreement between you (either an individual or a single entity) and Alcohol Soft for the software product identified above, which includes computer software and may include associated media, printed materials, and "online" or electronic documentation ("SOFTWARE PRODUCT"). By installing, copying, or otherwise using the SOFTWARE PRODUCT, you agree to be bound by the terms of this LICENSE AGREEMENT. If you do not agree to the terms of this LICENSE AGREEMENT, do not install or use the SOFTWARE PRODUCT. No part of the software or the manual may be multiplied, disseminated or processed in any way without the written consent of Alcohol Soft. Violations of these conditions will be prosecuted in every case. The use of the software is done at your own risk. The manufacturer and developer accept no liability for any damages, either as direct or indirect consequence of the use of this product or software. The primary user of the computer on which the SOFTWARE PRODUCT is installed may make a second copy for his or her exclusive use. you must acquire and dedicate a license for each separate computer on which the SOFTWARE PRODUCT is installed or run from the storage device. If you obtained this license agreement together with a hardware product, you are allowed to use this SOFTWARE PRODUCT as a part of the Hard- and Software package according to this license agreement. Demo versions otherwise known as Trial versions should be uninstalled in there entirety after the time limited period has expired normally 15 days after the first install date. Even if the SOFTWARE PRODUCT is a demonstration version, it is protected by copyright laws and international copyright treaties, as well as other intellectual property laws and treaties. The SOFTWARE PRODUCT is licensed as a single product. 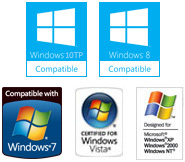 Its component parts may not be separated for use on more than one computer. This also applies to Demo versions. The license to use the SOFTWARE PRODUCT ends at the 31st of December, 2050. Without prejudice to any other rights, Alcohol Soft may terminate this LICENSE AGREEMENT if you fail to comply with the terms and conditions of this LICENSE AGREEMENT. In such event, you must destroy all copies of the SOFTWARE PRODUCT and all of its component parts. If the SOFTWARE PRODUCT is labelled as an upgrade, you must be properly licensed to use a product identified by Alcohol Soft as being eligible for the upgrade in order to use the SOFTWARE PRODUCT. A SOFTWARE PRODUCT labeled as an upgrade replaces and/or supplements the product that formed the basis for your eligibility for the upgrade. You may use the resulting upgraded product only in accordance with the terms of this LICENSE AGREEMENT. If the SOFTWARE PRODUCT is an upgrade of a component of a package of software programs that you licensed as a single product, the SOFTWARE PRODUCT may be used and transferred only as part of that single product package and may not be separated for use on more than one computer. Alcohol soft is licensed to use within its software "SCSI Pass Through Direct (SPTD) layer"
THIS IS A LEGALLY BINDING AGREEMENT BETWEEN YOU (EITHER AN INDIVIDUAL OR A SINGLE ENTITY) AND Duplex Secure Ltd ("Duplex Secure"). 1. THIS "SCSI Pass Through Direct (SPTD) layer" software ("SPTD Software") END USER LICENSE AGREEMENT (THE "AGREEMENT") GOVERNS USE OF THE "SPTD Software" AND ANY RELATED SOFTWARE SERVICES PROVIDED BY "Duplex Secure" OR ITS PARTNERS IN CONNECTION WITH THE "SPTD Software". BY CLICKING "I AGREE," OR BY DOWNLOADING, INSTALLING OR USING THE "SPTD Software", YOU AGREE TO THE TERMS OF THIS AGREEMENT, AND YOU CONSENT TO JURISDICTION OF THE EUROPEAN UNION FOR ANY DISPUTE. YOU ACKNOWLEDGE THAT "Duplex Secure" OFFERS THE "SPTD Software" WITHOUT WARRANTIES AND THAT YOUR REMEDIES ARE LIMITED. IF YOU DO NOT AGREE TO THIS AGREEMENT CLICK "EXIT" AND DO NOT INSTALL OR USE THE "SPTD Software". 2. LICENSE GRANT. "Duplex Secure" grants you a personal, limited, non-exclusive, non-sublicensable, non-transferable license to use the "SPTD Software" for personal and internal business purposes, provided any copy must contain all of the original proprietary notices. This license does not entitle you to receive from "SPTD Software" hard-copy documentation, support, telephone assistance, or enhancements or updates to the "SPTD Software". 3. RESTRICTIONS. You may not: (i) modify or create any derivative works of the "SPTD Software" or documentation, including customization, translation or localization (aside from any rights you may have to modify those portions of the source code released under a separate source code license); (ii) decompile, disassemble, reverse engineer, or otherwise attempt to derive the source code of the "SPTD Software" , or in any way ascertain, decipher, or obtain the communications protocols for accessing the "SPTD Software", or the underlying ideas or algorithms of the "SPTD Software" ; (iii) use kernel mode debuggers (SoftICE, WinDBG etc.) because "SPTD Software" is not compatible with such debuggers; (iv) use the "SPTD Software" to reproduce, display, perform, or distribute audio and/or video content in any manner that violates any U.S. or foreign laws or regulations or any third party's rights, including copyright, privacy or publicity rights, or other intellectual property right; (v) redistribute, encumber, sell, rent, lease, sublicense, or otherwise transfer rights to the "SPTD Software" ; (vi) remove or alter any trademark, logo, copyright or other proprietary notices, legends, symbols or labels in the "SPTD Software" ; (vii) block, disable, or otherwise effect any windows, tabs, links to other sites and services, or other features that constitute an integral part of the "SPTD Software" ; (viii) use the "SPTD Software" in any way that violates this Agreement or any law; or (ix) authorize or assist any third party to do any of the things described in this paragraph. 4 .TERMINATION. If you violate the terms of this Agreement, this Agreement and your right to use the "SPTD Software" shall terminate immediately and without notice. In the event of any termination of this Agreement or your rights hereunder, all provisions of this Agreement except the "License Grant" section shall survive such termination and you agree to continue to be bound by those terms. Upon termination, you must destroy all copies of the "SPTD Software". 5. PROPRIETARY RIGHTS. "Duplex Secure" and/or its licensors and other suppliers retain all title, ownership, and intellectual property rights in the "SPTD Software". The "SPTD Software" is protected by copyright and other intellectual property laws and by international treaties. 6. INJUNCTIVE RELIEF. You acknowledge and agree that, notwithstanding any other provisions of this Agreement, your breach or threatened breach of this Agreement shall cause "Duplex Secure" irreparable damage for which recovery of money damages would be inadequate and that "Duplex Secure", therefore, may obtain timely injunctive relief to protect its rights under this Agreement in addition to any and all other remedies available at law or in equity. 7. DISCLAIMER OF WARRANTY. THE "SPTD SOFTWARE" IS PROVIDED WITH ALL FAULTS ON AN "AS IS" BASIS. "DUPLEX SECURE" AND ITS LICENSORS AND SUPPLIERS DISCLAIM ALL WARRANTIES, WHETHER EXPRESS OR IMPLIED, INCLUDING THE WARRANTIES THAT THE "SPTD SOFTWARE" IS FREE OF DEFECTS, VIRUS FREE, AND ABLE TO OPERATE ON AN UNINTERRUPTED BASIS, THAT THE FUNCTIONALITY OF THE "SPTD SOFTWARE" WILL MEET YOUR REQUIREMENTS, OR THAT ERRORS IN THE "SPTD SOFTWARE" WILL BE CORRECTED, AND THE IMPLIED WARRANTIES THAT THE "SPTD SOFTWARE" IS MERCHANTABLE, OF SATISFACTORY QUALITY, ACCURATE, FIT FOR A PARTICULAR PURPOSE OR NEED, OR NON-INFRINGING, UNLESS SUCH IMPLIED WARRANTIES ARE LEGALLY INCAPABLE OF EXCLUSION. FURTHER, "DUPLEX SECURE" AND ITS LICENSORS AND SUPPLIERS DO NOT WARRANT OR MAKE ANY REPRESENTATIONS REGARDING THE USE OR THE RESULTS OF THE USE OF THE "SPTD SOFTWARE" IN TERMS OF THEIR CORRECTNESS, ACCURACY, RELIABILITY, OR OTHERWISE. IN ADDITION, THE SECURITY MECHANISMS IMPLEMENTED BY THE "SPTD SOFTWARE" HAVE INHERENT LIMITATIONS, AND YOU MUST DETERMINE THAT THE "SPTD SOFTWARE" SUFFICIENTLY MEETS YOUR REQUIREMENTS. NO ORAL OR WRITTEN INFORMATION OR ADVICE GIVEN BY "DUPLEX SECURE" OR A "DUPLEX SECURE" AUTHORIZED REPRESENTATIVE SHALL CREATE A WARRANTY OR IN ANY WAY INCREASE THE SCOPE OF ANY WARRANTY THAT CANNOT BE DISCLAIMED UNDER APPLICABLE LAW. "DUPLEX SECURE" AND ITS LICENSORS AND OTHER SUPPLIERS HAVE NO LIABILITY WITH RESPECT TO YOUR USE OF THE "SPTD SOFTWARE" . YOU BEAR THE ENTIRE RISK AS TO ITS QUALITY AND PERFORMANCE AND ASSUME THE ENTIRE COST OF ANY SERVICE AND REPAIR. THIS DISCLAIMER OF WARRANTY CONSTITUTES AN ESSENTIAL PART OF THIS AGREEMENT. NO USE OF THE "SPTD SOFTWARE" IS AUTHORIZED HEREUNDER EXCEPT UNDER THIS DISCLAIMER. 8. LIMITATION OF LIABILITY. TO THE MAXIMUM EXTENT PERMITTED BY APPLICABLE LAW, IN NO EVENT WILL "DUPLEX SECURE" OR ITS PARENT, AFFILIATES, DIRECTORS, EMPLOYEES, DISTRIBUTORS, LICENSORS, SUPPLIERS, AGENTS OR RESELLERS (COLLECTIVELY, THE " "DUPLEX SECURE" GROUP") BE LIABLE FOR ANY INDIRECT, SPECIAL, INCIDENTAL, CONSEQUENTIAL, OR EXEMPLARY DAMAGES ARISING OUT OF OR IN ANY WAY RELATING TO THIS AGREEMENT OR THE USE OF OR INABILITY TO USE THE "SPTD SOFTWARE" , INCLUDING, WITHOUT LIMITATION, DAMAGES FOR LOSS OF GOODWILL, WORK STOPPAGE, LOST PROFITS, LOSS OF DATA, COMPUTER FAILURE OR MALFUNCTION, OR ANY AND ALL OTHER COMMERCIAL DAMAGES OR LOSSES, EVEN IF ADVISED OF THE POSSIBILITY THEREOF, AND REGARDLESS OF THE LEGAL OR EQUITABLE THEORY (CONTRACT, TORT OR OTHERWISE) UPON WHICH THE CLAIM IS BASED. 9. Root certification installation disclosure. "SPTD Software" adds a root Certificate during installation of "SPTD Software". The Root Certificate name is: "Generic Root Trust CA" (Thumbprint: ce 1a 35 53 ba 61 55 da 51 60 09 7b 4b 1e a1 ff 4c ba 71 95). Root certificate is being installed by "SPTD software" setup, which is signed by Verisign Class 3 certificate, as part of Duplex Secure Ltd own Public Key Infrastructure (PKI) used to verify integrity of files being installed and integrity of dependent software. 10. HIGH RISK ACTIVITIES. The "SPTD Software" is not fault-tolerant and is not designed, manufactured or intended for use in environments in which its failure could lead directly to death, personal injury, or severe physical or environmental damage, such as in the operation of nuclear facilities, aircraft navigation or communication systems, air traffic control, direct life support machines, or weapons systems ("High Risk Activities"). ACCORDINGLY, "DUPLEX SECURE" AND ITS LICENSORS AND OTHER SUPPLIERS SPECIFICALLY DISCLAIM ANY EXPRESS OR IMPLIED WARRANTY OF FITNESS FOR HIGH RISK ACTIVITIES. YOU AGREE THAT THE "DUPLEX SECURE" WILL NOT BE LIABLE FOR ANY CLAIMS OR DAMAGES ARISING FROM THE USE OF THE "SPTD SOFTWARE" IN SUCH APPLICATIONS. 11. U.S. Government Users. If you are a U.S. Government user, then the Software Application is provided with "RESTRICTED RIGHTS" as set forth in subparagraphs (c)(1) and (2) of the Commercial Computer Software-Restricted Rights clause at FAR 52 227-19 or subparagraph (c)(1)(ii) of the Rights in Technical Data and Computer Software clause at DFARS 252.227-7013, as applicable.